Gen Zers (folks born after 1997) are already dramatically changing the marketing landscape. By 2020, Gen Z will constitute about $20 billion in spending power and be the largest generational demographic bloc in the U.S.
With only six seconds to capture a Zoomer’s attention, what qualities should you build into your brand’s web experience to engage Gen Z? As an added benefit, your site will rank higher in search the faster it loads. It’s even more important than keywords. Another thing Gen Z consistently reports is that they want brands’ online experiences to feel more human and tailored to them. In order to make a web experience feel like it was created just-for-you, marketers need to pay attention to how and why users are accessing their sites, as well as who they are and from where they came. There are a few ways you can tailor a user’s experience to them. First, you can implement cookies. 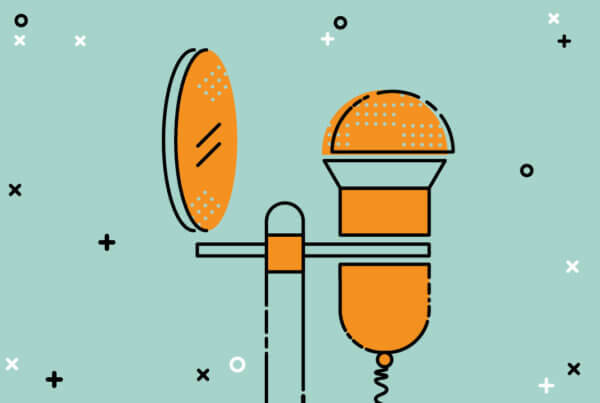 Cookies enable you to track certain information across sessions, such as keeping items in a shopping cart or previously played music to generate new song recommendations. Second, you can allow users to create and populate profiles that customize what messages and notifications they receive, as well as what kind of recommendations and suggestions are populated for them on apps like Netflix. In addition, this is a point where you can bring users into the conversation, allowing them to modify recommendations and messaging to optimize their experience. In other words, let them tell you what they want. Third, you can use location services to populate content and recommendations that are physically relevant for your users, whether it’s conveying inventory in a nearby store or how local weather conditions might affect their plans. One of the biggest things Zoomers expect when they land on your page is that you’ll know why they’re there before they tell you. Having a predictive user experience goes a step further than simply tailoring a web experience based on past actions on your site. Generally, this means implementing machine learning and statistical models to forecast user outcomes, which is pretty technical stuff. Thinking in a more experiential, UX sense, our aim is to reduce the amount of choices and content the user must sift through in order to get what they want. In this way, a predictive engine like a decision tree (see below) or linear regression might offer up a set of recommendations based on predictor variables in order to avoid analysis paralysis. 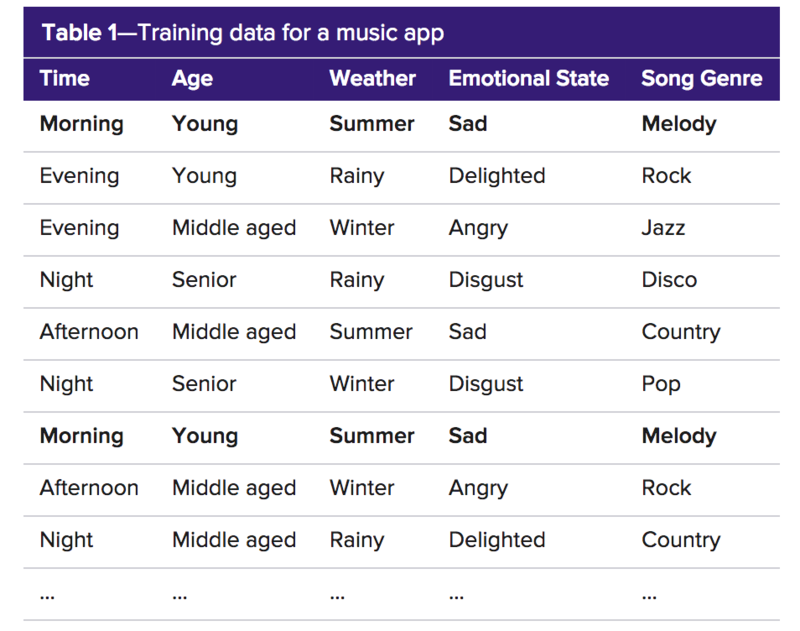 A great early example of this was Songza (later bought out by Google Play), which generated playlist choices based on likely activities for given times of day, similar to the decision tree. 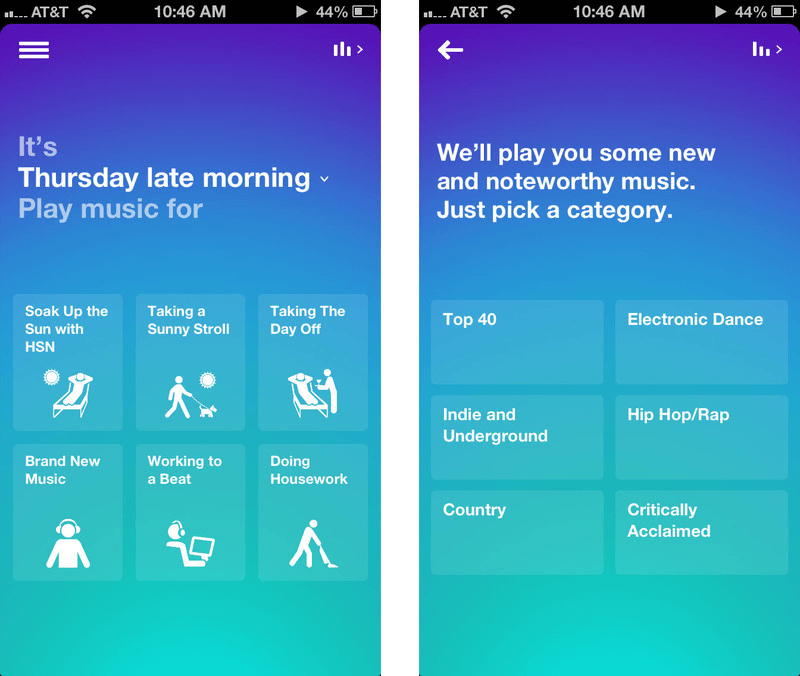 Songza’s user experience anticipated what the user might be thinking or feeling based on time of day, weather etc. The great thing about this is that the user was asked more clarifying questions as they went, giving the designers more and more data about how to personalize and predict future behaviors. You can bet that this app gathered information about the weather at your current location, too, so it only offered the “Taking a Sunny Stroll” playlist when it was sunny out. Another route for predictive design is as simple as thinking of how a Gen Z user arrives at your site and setting up specific URLs and pages that speak to this. If a user links from a promotional email you sent, the message might say, “Glad the email helped,” or offer up “email-exclusives” in your ecommerce shop that match the product type clicked on originally. The same could apply from a banner ad targeting a specific pain point, and the same goes for search. The more you can anticipate a user’s needs before they arrive, the better. 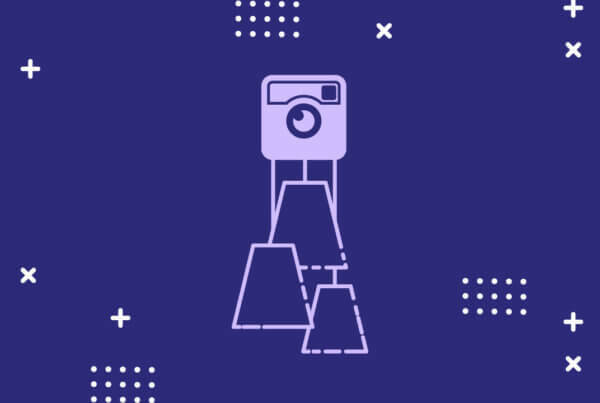 Because of their tech savvy and fluid identities, Gen Z users want to play the role of fellow designer in the digital experiences they use. Creating a web experience that facilitates a dialogue between you and the user encourages buy in and provides you with more valuable feedback from users. 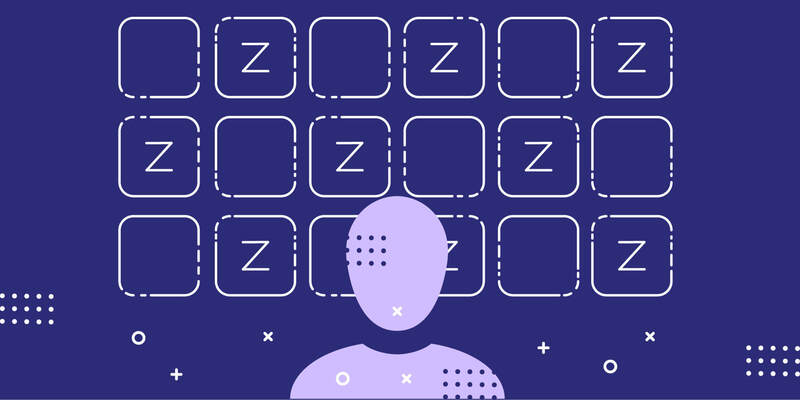 This synergizes particularly well with Zoomers’ desire for personalization and a more human, interactive experience, because they actually get a chance to make choices that affect their long-term user experience on the platform. Social media and forums can provide a platform for user feedback on things like logo designs, features and new ideas. 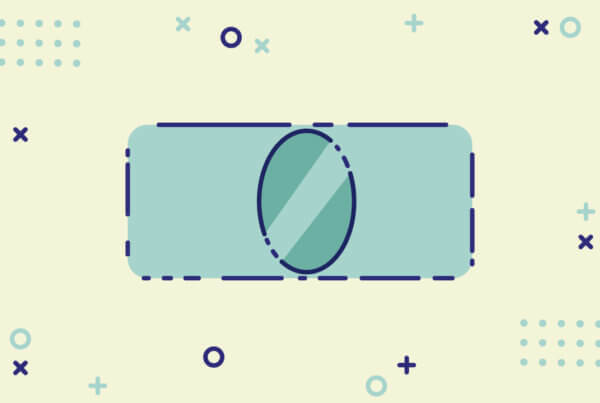 In more advanced cases, giving users access to modular toolkits can allow them to modify their experiences and ultimately improve them for you and the community in the long run. Sometimes, the truth is that Gen Z knows more about what they want and expect than you do. Listen to them. As a generational bloc, Zoomers are comprised of a variety of backgrounds and perspectives, and can often reveal insights that your team may have overlooked. Gen Z is the most diverse American generation yet, with the minority population expanding to 49 percent. This means that you’ll need to show all kinds of people and faces in your images if you’re to truly represent Gen Z as it exists in reality. Beyond representation, accommodating users with different levels of physical and cognitive abilities is not just an ethical best practice, but also a practical way to achieve better accessibility for all sorts of folks on the web. Gen Z also represents a higher sensitivity to social issues and political context, which is important to consider when crafting your messaging. Using language that aligns with the greater fluidity of Gen Z will build trust and credibility with users who want to see their identity not only recognized, but respected. Zoomers have been surrounded by the constant glut of digital content since they can remember, and have thus learned how to shut out the noise. When you deliver your message via your website, do not B.S. them. They’re trained to sniff it out. Instead, offer the most direct, clear and honest version of your message that you can, and treat them with the respect of equals rather than talking down to them like children. They’ll immediately pick up on the kid talk and see what you’re trying to pull. As usual, be true to your brand and deliver the value they seek. 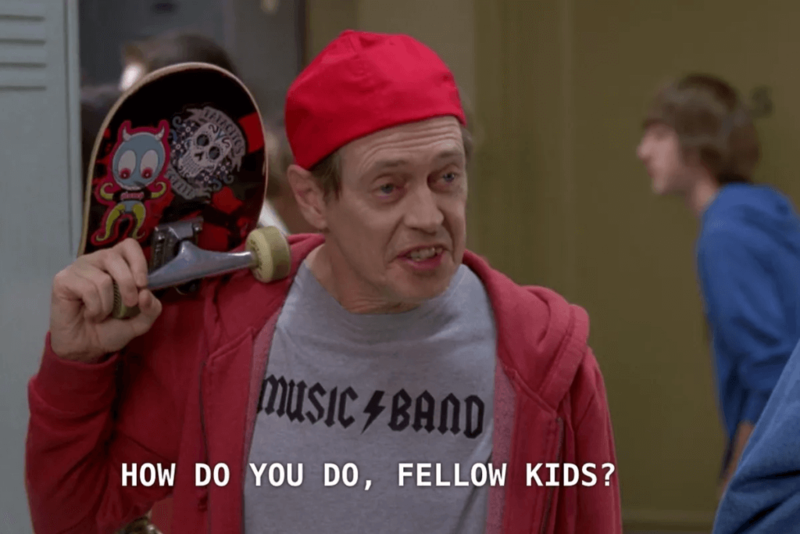 Gen Z will appreciate that you’ve respected their time and energy and aren’t another advertiser pretending to be something else. Jared is a Content Coordinator at InQuest Marketing. He develops content strategies and produces content for clients, as well as InQuest itself. He loves getting into the heads of consumers and figuring out how to tell a story that captures their attention. Jared has a passion for music and plays bass in a band, and his favorite movie is The Big Lebowski.